Every year , more than one million people in India are dying of Diabetes , the silent killer .Earlier it was predominant in affluent and urban population but the rural and urban divide is slowly diminishing .Here is a general overview about this disease . Diabetes is a lifelong condition that causes a person's blood sugar level to become too high and lead to multiple organ involvement and even death . The hormone insulin – produced by our pancreas – is responsible for controlling the amount of glucose in the blood .A decrease in the levels of Insulin causes Diabetes and results in increased blood glucose levels . Type 1 Diabetes – when the pancreas doesn't produce any insulin . Type 2 Diabetes – when the pancreas doesn't produce enough insulin or produces sufficient Insulin but the body's cells don't react to insulin this is also called as Insulin resistance . The symptoms of diabetes occur when the lack of insulin causes raised blood glucose levels and the glucose is not utilised by the body .This leads to cell damage and so to get rid of this the body tries to reduce blood glucose levels by excreting more glucose in the urine. Decreased Physical activity - Physical activity may decrease with age too and hence the forty and above population is at a higher risk . Diet - Consumption of a diet high on saturated fat, simple carbohydrates (such as white bread, white flour, pastries), sugars and salt all help to contribute to diabetes if taken in excess. Age - Your risk of developing type 2 diabetes increases with age. This may be because people tend to gain weight and exercise less as they get older. Genetics - Genetics is one of the main risk factors for type 2 diabetes. Your risk of developing the condition is increased if you have a close relative such as a parent, brother or sister who has the condition. Being overweight or obese - You're more likely to develop type 2 diabetes if you're overweight or obese with a body mass index (BMI) of 30 or more. Stress levels - High stress levels trigger hormones that can cause the Insulin levels to reduce and predispose to Diabetes . Ethnicity - People of south Asian, Chinese, African-Caribbean and black African origin are more likely to develop type 2 diabetes. 1. A positive family history of Diabetes puts you at a higher risk The closer the blood relation,the higher the risk .Hence annual check ups after 30 are mandatory .The earlier the detection,the better the outlook . 2. Diet - A balanced diet which is low on processed food and high on fibre, protein and vegetables is helpful in controlling and preventing Diabetes . 3. Exercise -Regular exercise even up to 20 minutes of brisk activity daily , is known to increase insulin sensitivity which helps in preventing type 2 Diabetes . 4. A healthy weight - Maintaining a healthy weight by regular exercise can prevent Diabetes .A BMI around 20-25 is recommended . Fat deposition around the abdomen particularly increases your risk. A fasting venous whole blood glucose of more than 110 mg% (venous plasma glucose > 126 mg%) OR a random venous whole blood glucose level of more than 180 mg%, (venous plasma glucose > 200 mg%), confirmed on repeat testing, in a patient with characteristic sign and symptoms of diabetes, is diagnostic. Other methods of screening are the blood HbA1c (Glycated haemoglobin) levels and the Oral GTT(Glucose Tolerance test ) and Urinary Glucose estimation . 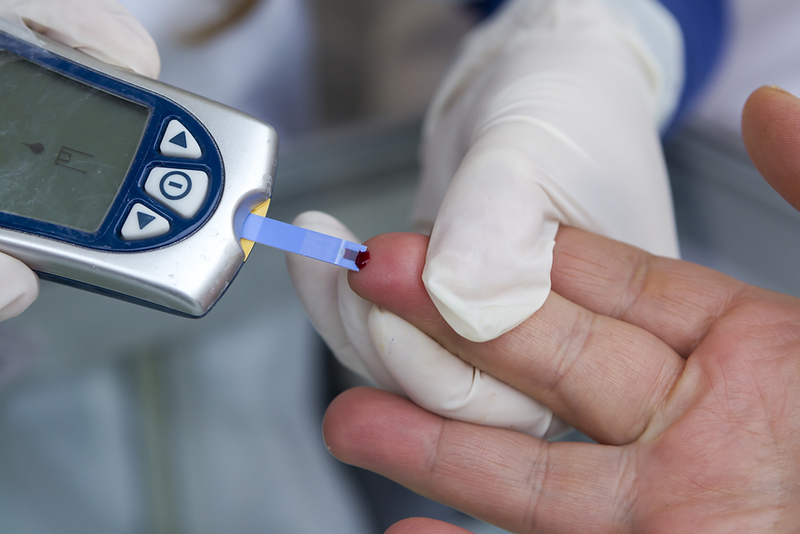 Based on the risk factors and associated disease/s ,your diabetologist will chalk out the right treatment plan for you ,that may include -A healthier diet plan ,regular exercise ,weight reduction and oral medications (pills) and/or insulin to help you meet your target blood glucose levels. In case you already have developed Complications of type 2 Diabetes,like retinopathy , hypertension or angiopathy (vascular disease ) then you may need specialised tests and care accordingly . This article has been posted in collaboration with Manipal hospitals,the best institute in Diabetes care ,to help spread awareness about Diabetes and its complications.